Metro Magazine fashion editor Mary O'Regan has a pretty great personal blog too, in case you somehow missed it. At Art of Wore, Mary talks about fashion, beauty tips, her work and our personal favorite topic: weird and unnecessary fashion products. Here are the highlights; visit Mary's blog for a full list of completely silly products you will never need to use. Braza Instant Lace Camisole Appearance: "I have no idea how you're going to convince the world that this is actually a full-blown camisole, and I'm not sure why you wouldn't just put on an actual camisole, but hey! Sometimes stuff just needs to be invented." Towel Toppers: 'These Towel Toppers are strategically designed to sit right across your breasts for maximum comfort. 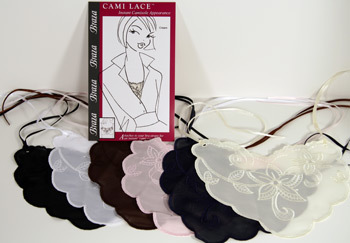 And best of all, they look like garter belts, so it's like you're marrying your towel!" Cool James sweat-wicking sleepwear: "How gross are you that you need sweat-wicking pajamas? " Camel-Not: "There are no words." All content and images via Art of Wore blog.